The seven authors featured in Wheaton College’s Wade Center are well-known: C.S. Lewis, J.R.R. Tolkien, Dorothy Sayers, George MacDonald, G.K. Chesterton, Charles Williams and Owen Barfield. 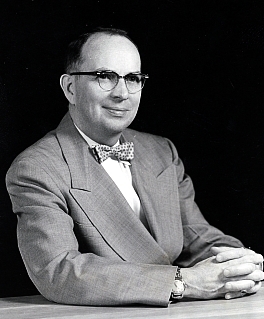 The acquisition of manuscripts, both primary and secondary, surrounding these authors was masterminded by Dr. Clyde Kilby, professor of English. Through the 1960s and 1970s Kilby cultivated a wide-ranging network of relationships with collectors, authors and librarians, laboriously assembling the collection that provides the heart of the Wade Center. A lesser-known fact is that Kilby pursued material from other “mythopoeic” creators, most of which did not make it to Wheaton College. A spectacular example of “the-one-that-got-away” is Mervyn Peake (1911-68), English poet, illustrator and deviser of the gothic Gormenghast Trilogy. Peake, the son of medical missionaries to China, wrote of the ancient, gargantuan Gormenghast Castle inhabited by the mad Groan family and the subsequent birth and adventures of its royal heir, Titus. Peake intended to continue the narrative, but the series sadly ended with his early death from Parkinson’s Disease, leaving the third volume, Titus Alone, somewhat patchy. He counted among his admirers C.S. Lewis, who wrote at least two fan letters, and Orson Welles, who once bought cinematic rights, as did Gordon Sumner (also known as Sting) and Monty Python’s Terry Gilliam. Gormenghast was finally filmed in 2000 by the BBC, starring Jonathan Rhy Meyers, with Christopher Lee and Fiona Shaw among its supporting cast. 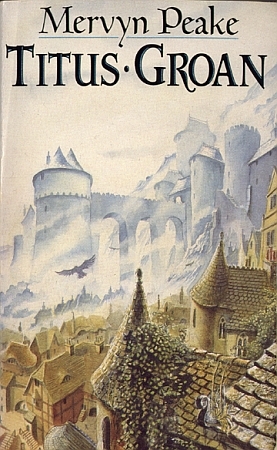 The somber, opulent tale was voted by British readers as one of the Top 100 Books, ranked with such luminaries as Orwell, Austen, Tolstoy and Dickens. Though Peake was a contemporary of Lewis and Tolkien, he was decidedly bourgeoisie in taste and temperament, and viewed with disdain these seemingly-elitist Oxford dons. Shortly after Peake’s death Kilby contacted his widow, Maeve, requesting an opportunity for discussion regarding the archiving of Peake’s papers at Wheaton College. Maeve responded that, due to her still-raw grief, she was unable to talk at that time. They eventually met in England during the summer of 1969. However, the plan was aborted and Peake’s papers remain largely uncollected under one roof, though the family continues seeking an archive. Kilby’s papers (SC-90), including his correspondence with Maeve, are housed in Special Collections at Wheaton College.